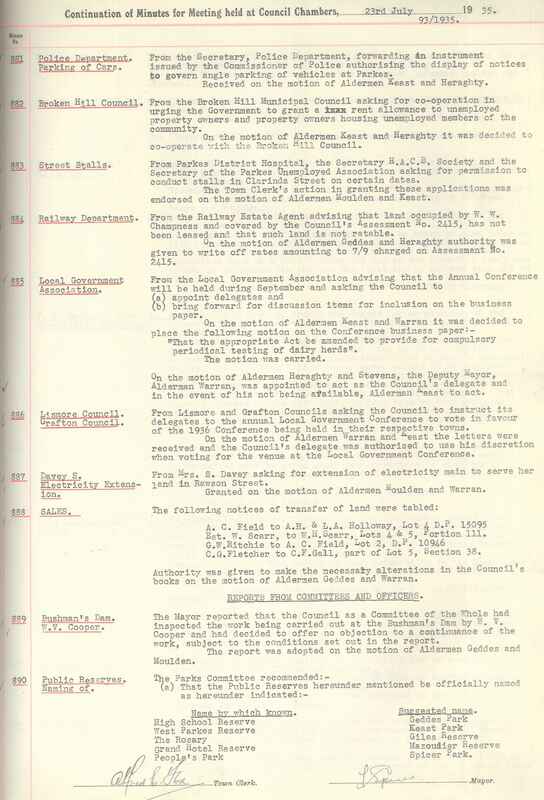 Continuing our series on the stories behind the names of sporting fields and parks within the Parkes Shire, this post looks at a parcel of land that many people have driven or walked passed many times. Mazoudier Park is the second park on the drive in from Orange (the first being Lions Park). 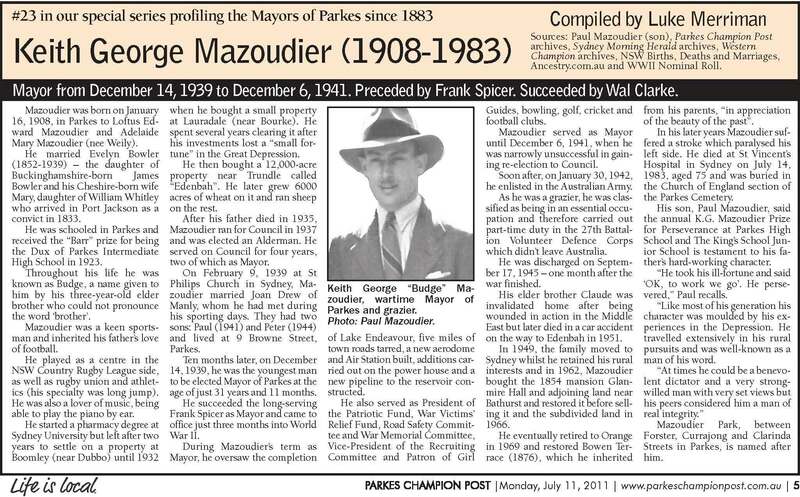 The name Mazoudier will be familiar with many residents and there were several prominent members of the Mazoudier family in Parkes. The name Mazoudier is quite well known to long term residents, having been a large shop on the corner of Clarinda Street and Church Street, which to locals was known as Mazoudiers’ Corner even after the store became Bebarfald’s and then later Central West County Council offices (Yvonne Hutton, President of Parkes Historical Society Parkes Champion Post Friday, March 8, 2013 page 7). 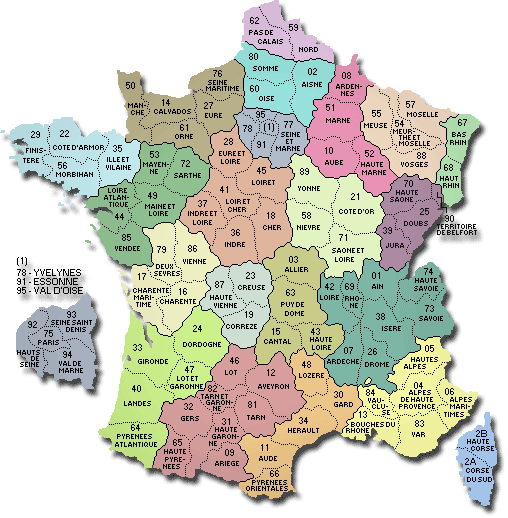 Descendants of the Mazoudier family have traced their ancestry back to France, where the name Mazoudier (and its variations Mazodier and Mazaudier) were relatively frequent in the south east of France. According to research undertaken by the family, the meaning of the name is “owner of the house”. The very earliest mention of the Mazoudier family is a marriage between Catherine Mazoudier and Jacques Merle on 13th April 1640 in Malons-et-Elze in the Ardeche/Languedoc region of southern France. Catherine was the daughter of Simon and Gabrielle Mazoudier, however the family have been unable to determine whether this family is directly linked to the Mazoudiers who came to Parkes. Loftus Edward Mazoudier and his wife Adelaide Mary Mazoudier (nee Weily) had two sons Claude and Keith George. Due to his elder brother, who was three years old at the time, being unable to say ‘brother’, Keith George became to be known as “Budge” – a nickname that stayed with him for the duration of his life. Keith George Mazoudier was a grazier, and continued in the family tradition of being a good sportsman. When Keith’s father passed away in 1935, Keith ran for Council. 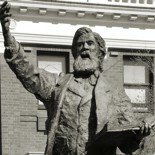 He became an Alderman in 1937 and served on the Council for four years. 1939 was an eventful year for “Budge” as in February 9th he married Joan Drew of Manly, at St Philips Church, Sydney. 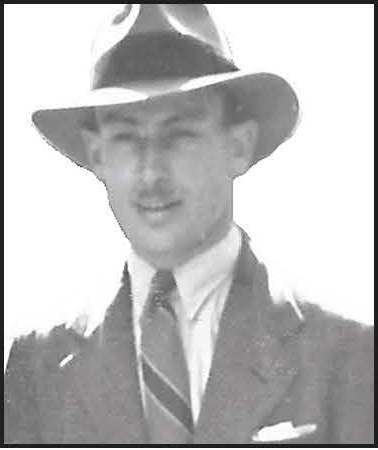 On December 14 he became Mayor of Parkes – just three months after World War 2 had commenced. At the age of 31 years and 11 months he is the youngest Mayor of Parkes. new pipeline constructed to the reservoir. 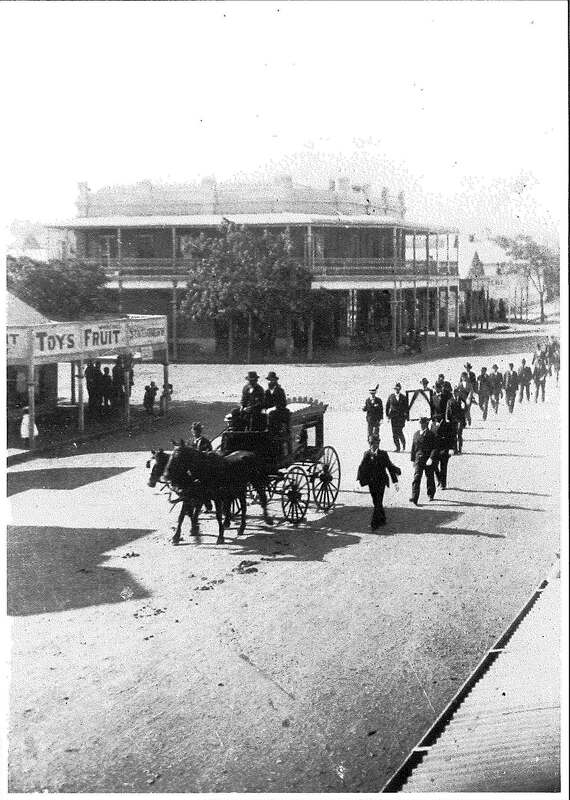 One man came to the Parkes Shire, and from his family came many bearing his name who lived and made a positive impact in the Parkes Shire. It is fitting that there is a permanent reminder of a family who worked tirelessly yet were known for their benevolence and congeniality. Mazoudier Park is a reminder of how just one family’s hardworking and friendly, generous nature helps to make a positive and lasting impact on their local community. 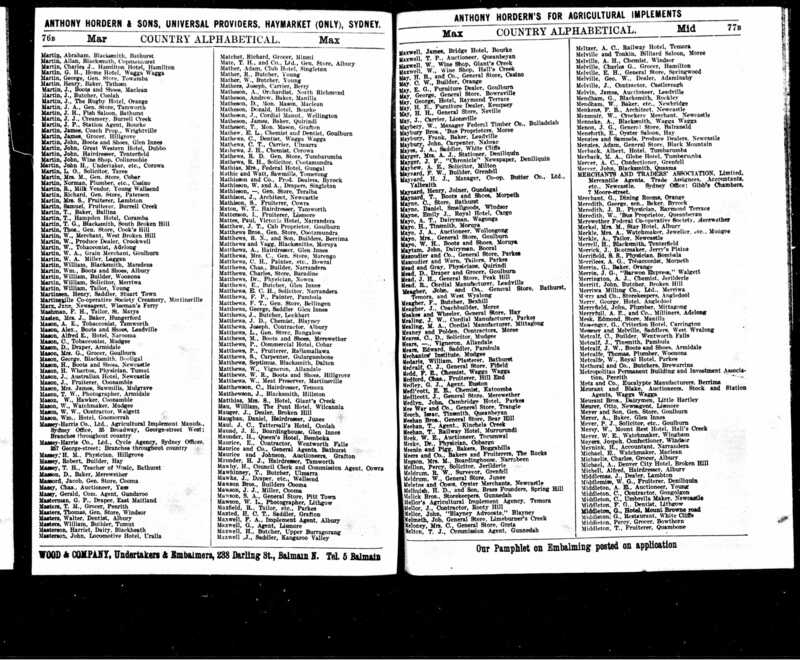 The Mazoudier Brothers are listed as Stock and Station Agents in the progessively named promotional booklet The City of Tomorrow in the district of to-day [sic]. Published by Cyril A. Kelly and John Sweeney in April, 1946. Page 23. This booklet is available for browsing in Parkes Shire Library’s Local and Family History room. Parkes Shire Library would like to thank Heather Unger and the descendants of the Mazoudiers for sharing their research of the Mazoudier family. 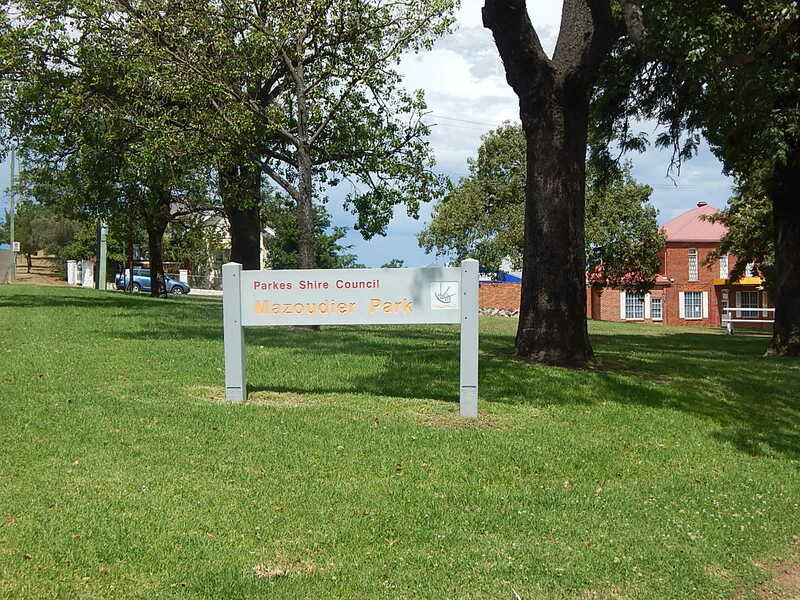 If you have stories or memories that happened at Mazoudier Park or in relation to the Mazoudier family, please contact library@parkes.nsw.gov.au so that they can be shared. Alternatively you may leave comments on this page. My grandmother Una Brown of Blackdown Bathurst became a close friend of Keith after he bought Glanmire Hall. I remember him visiting us in Sydney driving his white Rolls Royce car. He asked me to retrieve something from his car, and to my surprise I found that he had stripped out the back seat, to make room for sheep. He also recounted how he had come to the rescue of motorists in outback NSW , and helped tow them to safety using the Rolls. Thank you for sharing these precious memories, Paul. Your experience with the Rolls would be part of a great Aussie story on ABC television or radio, with quirky characters and that Australian way of thinking! Naturally one would take out the back seats to make room for sheep… in a Rolls Royce! Thanks for reading and contributing. Thank you for this lovely insight into my own history! Deborah Mazoudier (Keith George Mazoudier’s granddaughter). Thank you for your feedback. 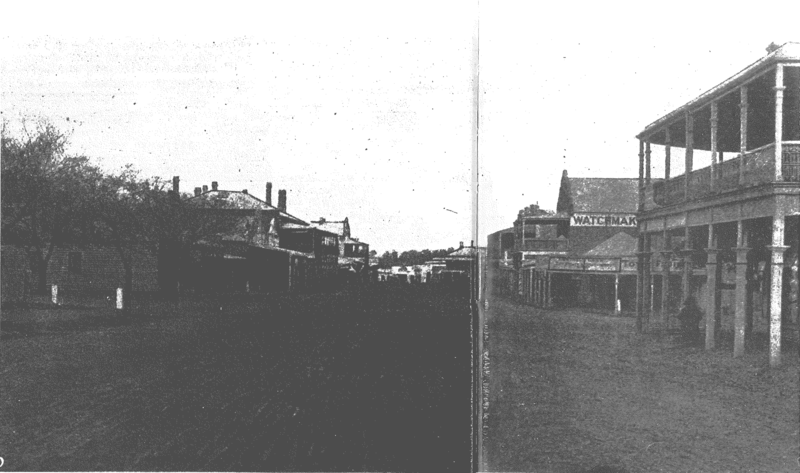 The Mazoudiers have certainly had a positive impact on the Parkes Shire and it was a privilege to research and honour them on the blog. Thanks for reading and contributing. 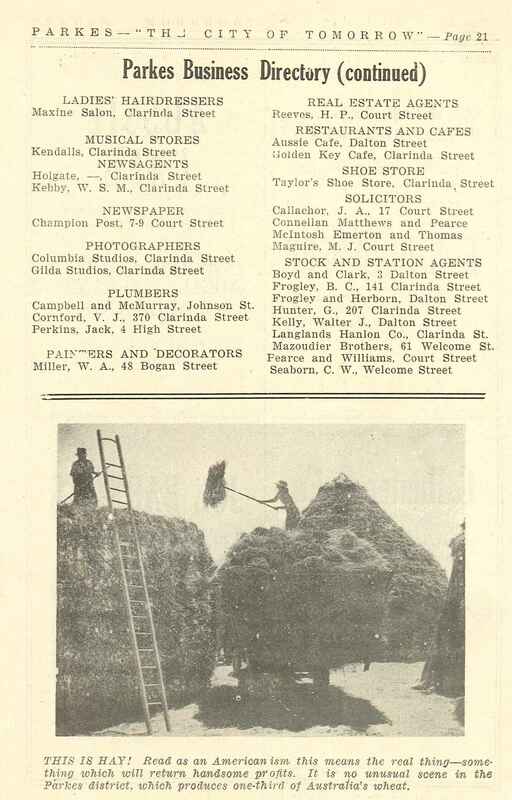 This entry was posted on January 29, 2016 by parkeslibrary in 1910s, 1920s, 1930s, 1940s, beautification, famous people of Parkes Shire, First World War soldier from Parkes Shire, Former Mayors of Parkes, French Origins, General history, local historical articles, Mazoudier Genealogy, Mazoudier Park, Parkes, Second World War soldiers from Parkes Shire, Settlement in Parkes, Uncategorized and tagged alderman of Parkes, Amable Mazoudier, Ardeche, CBD of Parkes, Claude Mazoudier, Cobar, Former Mayors of Parkes, France, Frederick Mazoudier, French Origins, Grand Hotel Reserve, grazier, Haute Alpes, history, Ian Chambers, Keith George Mazoudier, Loftus Mazoudier, Mazoudier Park, Mazoudiers' Corner, Parkes, storekeeper.